History can be boring when the only reward is a scribbled "Acceptable" on a test paper. 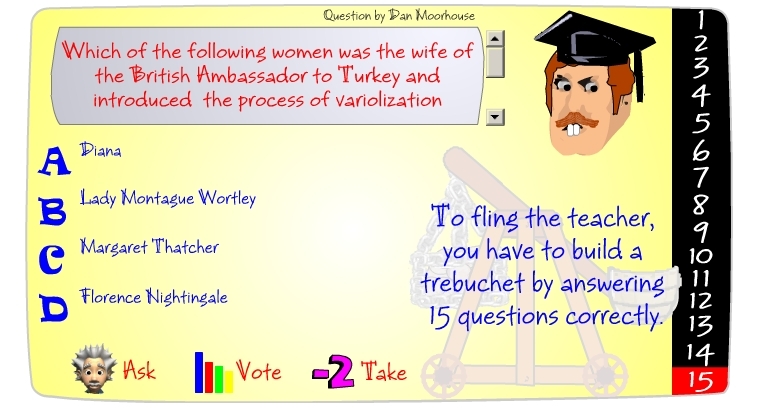 But what if part of the game is to build a trebuchet to fling the teacher? "Welcome to the SchoolHistory.co.uk downloadable resources centre. This has been updated to allow quick, easy access to our resources kindly contributed by other teachers. There are now over 1,400 pages of resources available."